Nicholas Gabriel is a Faculty Member of the William Glasser Institute (International). He is a Developmental Psychologist, specializing in Young Person Development – “young person” is defined as those persons between the ages of 12 and 25 years. He is also a Registered Psychologist with the Singapore Psychological Society, and an approved Supervisor. 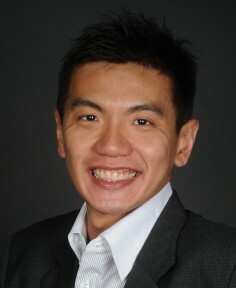 He is currently the Chair for Corporate Communications of the Singapore Psychological Society. He is also an International Affiliate of the Australian Psychological Society. For fifteen years now, his work with young people has gone to countries like Vietnam, India and Australia; and places like the Prisons, Boys’ Home, Faith-Based Organizations, Schools and Community Homes. Whilst working with younger persons, Nicholas Gabriel works with stakeholders, like teachers, parents, youth workers, social workers, counselors, doctors and government agencies extensively. Nicholas has tremendous amount of experience working with young persons from diverse backgrounds and the relevant stakeholders. Some recurring topics include adolescent development, sexuality, cyber wellness, vocations in life, relationships, family and friends, youth culture, just to name a few. Nicholas is the Co-Founder of the Youth Work Association (Singapore) and the Catholic Archdiocesan Commission for the Family. He used to be on various National Councils, like the Media Literacy Council and the National Council for Problem Gambling. Each council advises the Singapore Government on research, trends and developments pertaining to digital literacy and problem gambling respectively. As a past time, Nicholas enjoys watching a good movie and doing outdoor sports. He believes very much in spiritual health amidst the hustle and bustle of life, and makes an effort to ensure he has time for reflection and quiet time to consolidate life lessons and experiences. He has great interest in personal self-regulation and psycho-spirituality.